Here at Crescent Foods, safety and quality is first and foremost. Our Quality Assurance Department ensures the standards we use are in compliance with all USDA and all Federal regulations for an effective approach to food safety standards as well as for our employees. 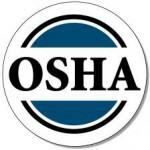 We keep up with all the safety statutory and record keeping requirements identified by OSHA. The standards established by the Occupational Safety and Health Administration (OSHA) were designed to ensure all U.S. workers had a safe occupational environment in which to work, and implementing programs to comply with these standards can also lead to dramatic productivity improvements. The Food Defense Plan was implemented to protect our food and production processes from harm. The plan was put in effect to reduce the chances of someone intentionally contaminating the food supply, disrupting our economy and trying to hurt people. Employee and consumer safety is a high priority of Crescent Foods. Crescent Foods applies clearly defined manufacturing processes called Good Manufacturing Practices (GMP’s) to ensure quality and food safety. GMP’s cover all aspects of manufacturing, employee hygiene, including standard operating procedures, people management and training, equipment maintenance, and handling of materials. We apply the HACCP (Hazard Analysis and Critical Control Point) system to ensure food safety. This preventive and scientific based system identifies, evaluates, and controls hazards that are significant for food safety. It covers the entire food production process from receiving raw materials to distribution and consumption. Standard Operating Procedures (SOP’s) are descriptions of particular tasks undertaken in a food processing operation. A specific SOP should address the following: the purpose and frequency of doing a task, who will do the task, a description of the procedure to be performed that includes all the steps involved, and the corrective actions to be taken if the task is performed incorrectly. Standard Performance Standards (SPS’s) are the standards in which we keep the facility clean and structurally sound. This contains procedures such as master cleaning schedule, pest control, lighting, ventilation, plumbing, sewage and water supply. Each procedure is designed to maintain structural integrity, food and employee safety. A clean house is a healthy house. Sanitation Standard Operating Procedures (SSOP) is the basis of a manufacturing plant’s food safety for sanitation compliance at the pre-operational, operational and post operational levels. The SSOP documents the steps that must be followed in order to ensure adequate cleaning of surfaces and objects that come in contact with the product. These procedures must be sufficiently detailed and specific. All HACCP plans require SSOP to be documented and reviewed at certain intervals and customized if needed. Needless to say, Crescent Foods is at the top of its game.